Everyone is a little universe. It has determined by forces in time and space. Human beings, trees, animals, or cosmic dust have their own tracks in tuned world and space. And it interacts each other to live together. Nature has recorded their own history in their own ways; the best example is the tree rings. 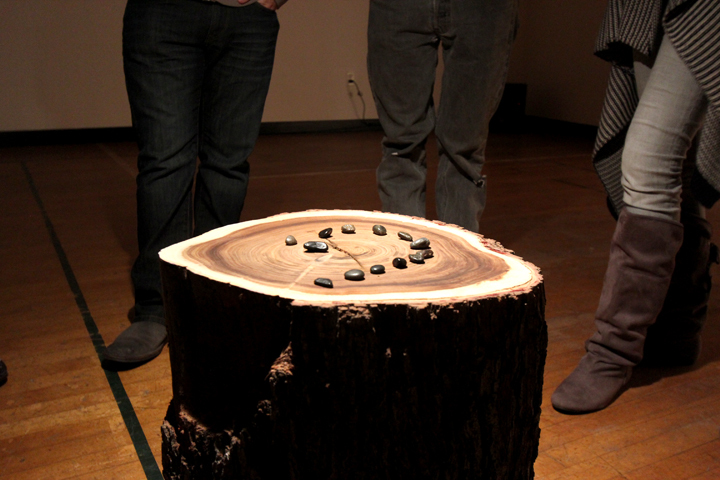 Tree rings are the representations of nature's beauty, stories, and their own universe. It has a small history and world, and it contains everything as the whole universe. Albert Einstein said universe is not empty; there's plasma that can make possible to listen universe's music. Each planet has different frequency of radio emission sound through plasma, and it's not in human's hearing range. If it's converted into sound wave into hearing range, we can hear elusive "sounds" of howling planets and whistling helium. The naturally generated sound of universe delivers both physical and emotional impacts to us. Distance and time in orbits of universe are just a matter of numbers. We hear the universe, and universe listen to us. 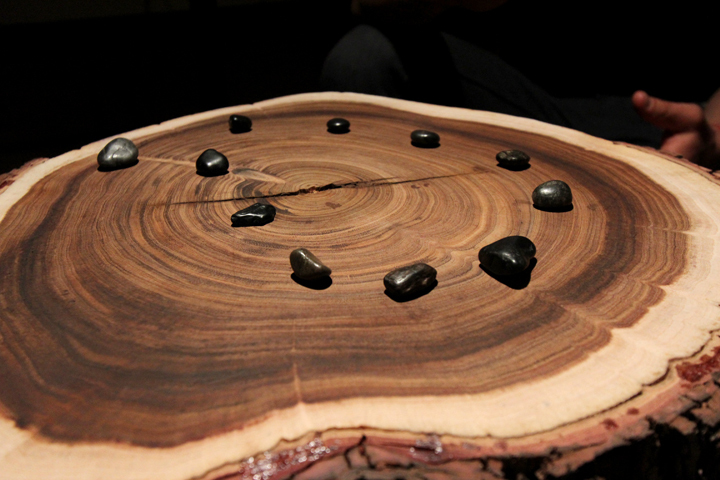 Tree rings and universe orbits can be connected since they both have distance, time, and story. In the small circular rings, we can discover the universe, nature, rhythms and our life. 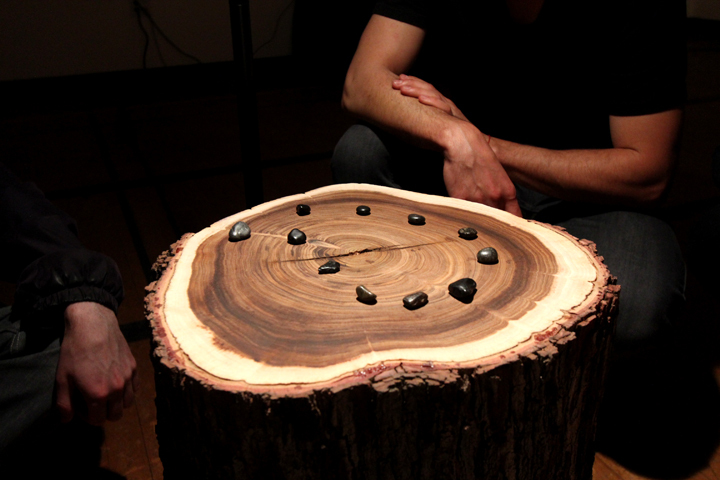 Music and sound are the connection between tree rings and universe here. 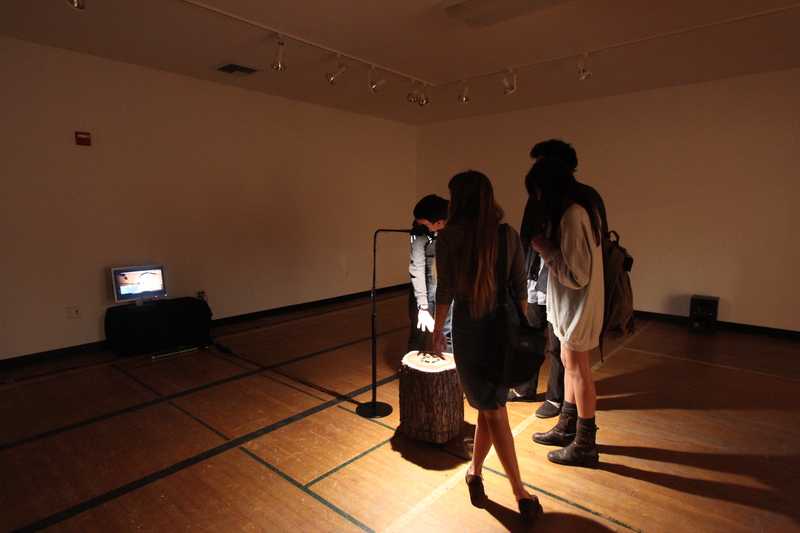 Tree rings can be a medium to navigate the universe. 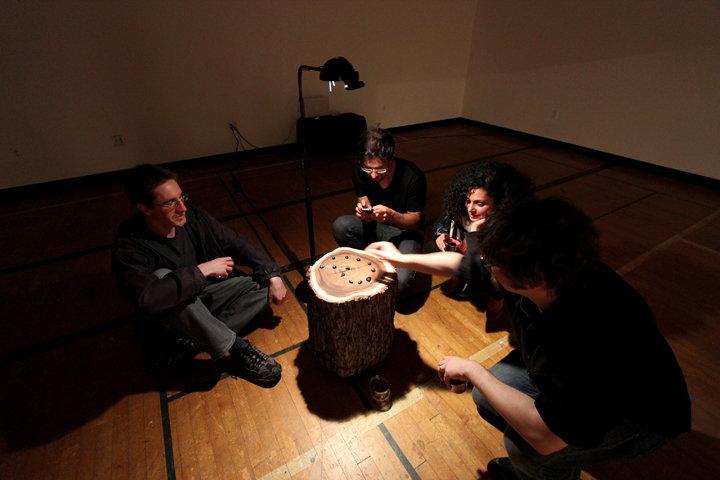 In this installation, performers can explore music of universe by moving marbles on the tree trunk. Each tree rings represent different orbits in space. Positions of marbles determine the planets and the certain frequencies of planets. 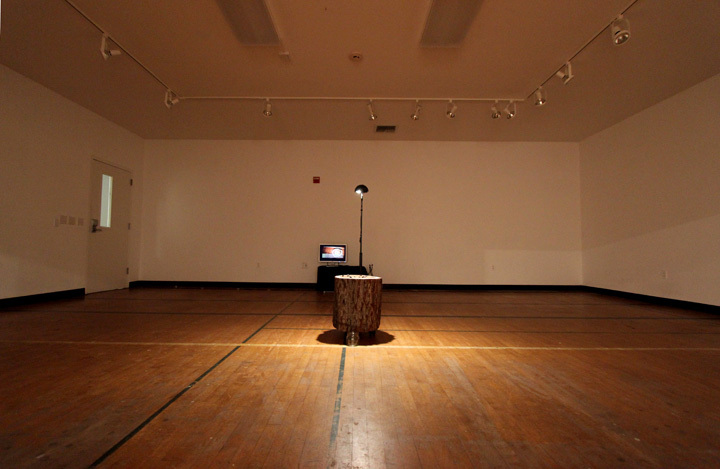 The camera detects the positions of marbles, send the data to computer, and manipulate it to play and modify the frequencies of pre-recorded sound files in real time by granular synthesis. 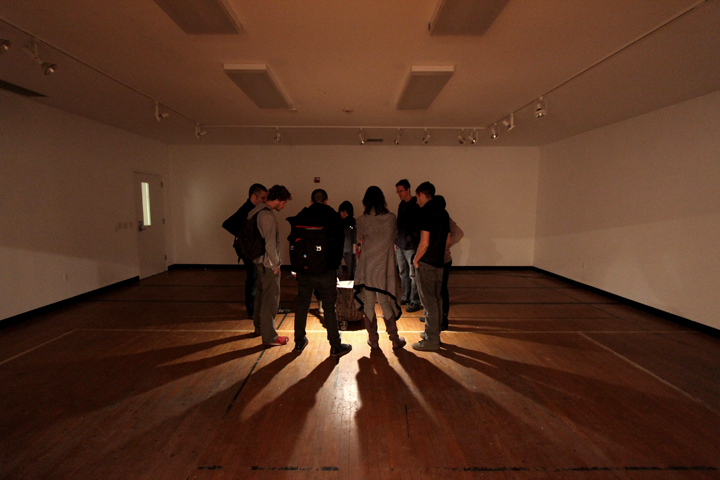 Movie Documentation is coming soon.